Meklort and a team of testers have brought a new application suite that allow one to easily install OSX Leopard or Snow Leopard on a netbook. Netbook Installer currently support Dell mini9, mini10v and the Lenovo S10. 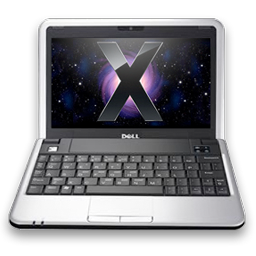 Other netbook are alsoknown to work with Netbook Installer. This release is offering the community to add support for other netbook on their own as long as you know how to edit and copy a few files. More details on this can be found here. Have fun installing OSX on your netbooks!